The star duo is back with another exciting, young and a fresh love story by Shashank Khaitan with the glitterati of Dharma Productions. The story here is regular and predictable but has several flavors that makes it even more interesting. Badrinath Bansal, played by Varun Dhawan, is the son of a money lender and falls in love with a small town girl, Vaidehi – played by Alia Bhatt,, who is ambitious and wants to lead an independent life. 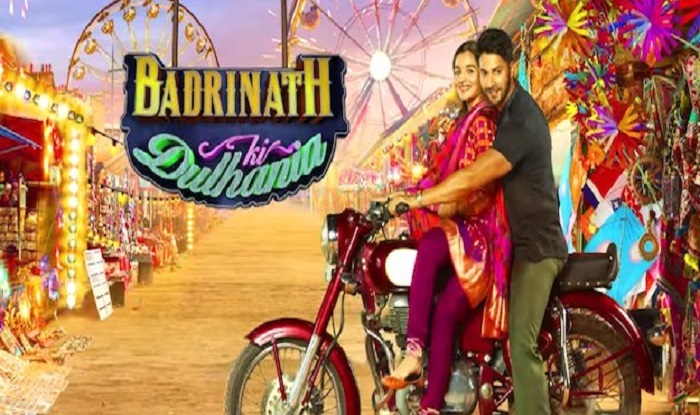 Varun’s character is in search of a prospective bride and meets Vaidehi at a wedding. But Vaidehi is reluctant and not ready to give in as she has earlier been hit by the same stone. Despite being predictable, funny dialogues, songs and colorful costumes have made it even more interesting. Varun has done well with his accent when he speaks some uncomfortable English while trying to woo his lady love, Vaidehi. Alia has worked well on her witty dialogues that the audience got a sneak peek of in the movie’s trailer. The actress has well portrayed the role of an ambitious girl with dreams and is always honest about her opinions. Another good part is the story has a reasonable pace as it keeps changing locations. And of course, the sparkling chemistry between Alia and Varun something to look forward to. Their off-screen camaraderie has been well played on the big screen, too. The new age version of the classic song ‘Tamma Tamma’ adds bonus points to a movie that deserves distinction marks. We have seen the pair in the prequel, Humpty Sharma Ki Dulhania but the new version is definitely a finer and more refined work by Karan Johar’s production house. Badrinath Ki Dulhania is romance with a new and young flavor. One couldn’t help but notice a disappointing end, but overall the movie has great moments and above average acting by the lead cast.